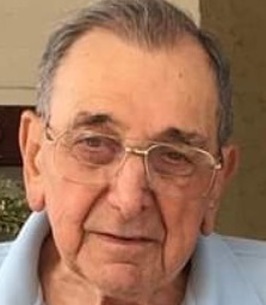 Aviadeo “Dave” T. Borsetti, 90 of Wall Township passed away at Sunrise Assisted Living on Saturday November 17, 2018 with his family by his side. Dave was born and raised in Vineland, NJ where he graduated from Vineland High School. After high school, Dave enlisted in the US Army and served during the Korean War between 1950 and 1952, where he was a Bronze Star and Purple Heart recipient. After his military service Dave attended Goldie University for engineering and was also the book keeper for D’Esposito Family business before entering the Carpenter’s Union Local 2250 Red Bank, NJ. His career spanned over 50 years there where he was treasurer of over 20 years and was an apprentice instructor for many years. In his spare time, Dave flew gliders out of Colts Neck, NJ and occasionally landed in soy bean fields. He loved to travel along with his wife Mary and after her passing he became an avid photographer. Dave was an active member of the Ocean County Photography Club. Dave was predeceased by his wife Mary (nee D’Esposito) Borsetti in 2003. He is survived by his three loving children Charles V. Borsetti of Coram, New York, Timothy Borsetti and his wife Marsha of Clemson, SC and Deborah M. Ippolito and her husband James of Brick, NJ. Dave is also survived by his cherished grandchildren Kathryn, Danielle, Matthew, Regina, Emily, Sarah and Blake and nine great grandchildren Carissa, Hayley, Emma, Meghan, Reese, Riley, Reagan, Grayson and Jamison. Family and friends are invited to attend a visitation on Friday November 23, 2018 from 12 pm to 3 pm at Orender Family Home for Funerals 2643 Old Bridge Road, Manasquan. A Mass of Christian Burial will be 10 am Saturday November 24, 2018 at St Denis Church, Manasquan, NJ. In lieu of flowers memorial donations may be sent to Oceans Harbor House 808 Conifer Street Toms River, NJ 08753. To send condolences to the family please visit www.orenderfamilyhome.com. 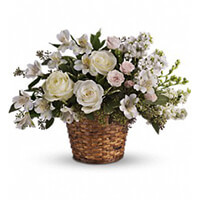 To send flowers to the family of Dave Borsetti, please visit our Heartfelt Sympathies Store. We encourage you to share any memorable photos or stories about Aviadeo. All tributes placed on and purchased through this memorial website will remain on in perpetuity for future generations. Dave’s family: I'm so sorry for your loss. I went through a similar situation and I was very helped by the hope that I found in the Bible in John 5:28, which says, "Do not amazed at this, for the hour is coming in which all those in the memorial tombs will hear his voice and come out". You can visit jw.org for more information about this hope.